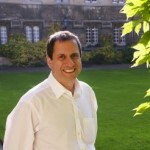 I’m an Associate Professor and lecturer in the Faculty of Classics at Oxford, and a tutor, supervisor, and Fellow of Jesus College. The majority of my teaching involves giving tuition to and supervising the studies of around twenty undergraduate and graduate students under my care. These include students of ‘Joint Schools’ i.e. Classics combined with English or with a modern language. My lectures in the University cover topics relating to Greek and Latin literary texts (including Greek and Roman lyric poetry, Aristophanes Frogs, Plato’s Symposium) and on Greek and Latin metre and music. Being a Fellow of a College means acting as a trustee with other members of the Governing Body, and involves a range of duties. I hold the office of Dean (the Fellow responsible for enforcing discipline within the student body) and I edit the the Jesus College Record. I also organize the annual Fowler Lecture, a public Latin lecture series named after my predecessor as Classics Tutor at Jesus. 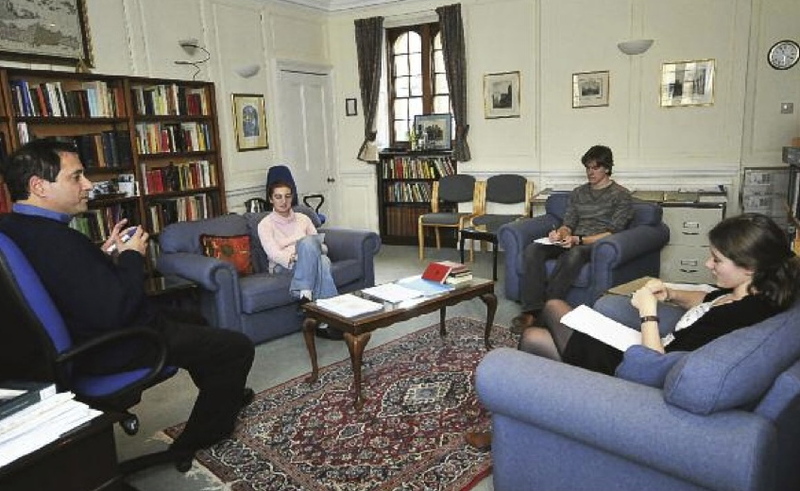 Tutors in admissions panels admit new students annually in December to the Oxford course, through an intensive 2-week long process of assessing the relative merits of applicants from schools across the UK and from abroad. One of most valuable aspects of this process is the admissions interview, which allows tutors to assess prospective students face-to-face. As a member of the Faculty of Classics I’m also required occasionally to act on a panel of assessors responsible for making new appointments to Lectureships. I undertake other Faculty duties such as attending a committee to consider academic issues with students, chairing a committee that organises the Classics and Modern Languages Joint School, and working with colleagues to set and mark University examinations. Oxford’s Classics Faculty employs the only dedicated Outreach Officer for the subject in the country, and the Faculty is continually looking at ways of promoting the course to potential students and to encourage those from non-traditional backgrounds to apply to study at Oxford. As a former Schools Liaison Officer for Classics, I have visited schools up and down the country to give talks on the Classics, explain the intricacies of the Admissions process, and tackle concerns about class bias or sexism. 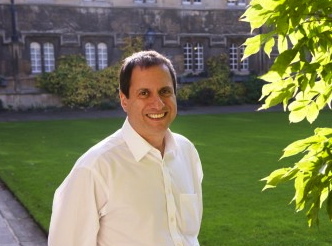 I chaired a Committee on Outreach set up at Jesus College, leading to the appointment of an Outreach Junior Research Fellow (part academic and part devoted to outreach). As part of the Mayor of London’s Love Latin Scheme I conducted a programme of visits to state primary schools to speak about the Classics. I am on the Development Committee of Classics for All, which aims to raise money to give grants to state schools for the teaching of Latin (over 400 schools are now grant-holders). In addition to my book and articles, I’ve written book reviews for scholarly journals and for the Times Literary Supplement, and short pieces for magazines such as History Today and for the journal of Friends of Classics, Ad Familiares. I compose verses in Greek and Latin, both by request and unbidden (see Otium Didascali), and have views about how ancient Greek was spoken and sung. I have translated and recorded ancient Greek for various scenes in Andrew Marr’s BBC series ‘The History of the World’, recorded Greek for the Thiasos Theatre Company, and declaimed the opening of Euripides’ Iphigenia in Tauris for a show by the Polish Gardzienice Theatre Company in the Powszechny Theatre, Warsaw. I have been invited to give a series of talks and conversations on ancient/modern themes (e.g. the EU, urban growth, inflation) for the BBC World Service Business Daily and Newshour programmes. It is the duty and pleasure of an Oxford don to pursue research into his or her subject. For me, teaching and thinking about the Classics constantly alerts me to new questions within or on the fringe of my areas of expertise which have not been answered or addressed. I have an ever-growing list of topics on which I am keen to make a contribution in the form of a lecture, article or book chapter such as those listed below. 1997 ‘How the dithyramb got its shape’. Classical Quarterly vol. 47: 331-51. 1999 (a) ‘Archinus, Eucleides and the reform of the Athenian alphabet’. BICS 43: 109-30. 1999 (b) ‘Ad Unguem’. American Journal of Philology vol. 120.3, 411-427. 2003 ‘Drowning by Numbers: Pythagoreanism and Poetry in Horace Odes 1.28’. Greece and Rome vol. 50: 206-219. 2005 ‘Intimations of the Classical in early Greek mousike’. In J. Porter, ed., Classical Pasts: the Classical Traditions of Greece and Rome (Princeton) 89-104. 2006 (a) ‘The ‘new music’: so what’s new?’. In S. Goldhill and R. Osborne, eds., Rethinking Revolutions through Ancient Greece (Cambridge), 264-83. 2006 (b) ‘Metre’. In The Edinburgh Companion to Greece and Rome, eds. T. Harrison and E. Bispham (Edinburgh) 489-495. 2006 (c) ‘Conquering Love: Sappho 31 and Catullus 51’. Classical Quarterly vol. 56.1. 2007 ‘The sound of mousike: reflections on aural change in ancient Greece’. In R. Osborne, ed., Debating the Athenian Cultural Revolution (Cambridge) 288-300. 2009 ‘Language and Metre’. In Language and History vol. 52 no.1. 2010 ‘Arma si magni celebras Maronis: verses for the Roman Society’s Centenary’. Journal of Roman Studies vol. 100 (front matter). 2012 (a) ‘Horace’s Victory Odes: artifices of praise’. In C. Carey, R. Rawles, and P. Agocs, eds., Receiving the Komos: Ancient and modern Receptions of the Victory Ode. London. 2012 (b) ‘Love’s Battlefield: rethinking Sappho fragment 31’. Ch. 5 in E. Sanders, C. Thumiger, N. Lowe and C. Carey, eds., Eros in Ancient Greece. Oxford. 2013 (a) ‘Plato on Play: Taking education seriously in Ancient Greece’. American Journal of Play vol.5 no.3. 2013 (b) ‘Music and movement in the dithyramb’. In B. Kowalzig and P. Wilson, eds. Dithyramb in Context. Oxford. 2013 (c) Articles on: Change; Dithyramb; Music and Musical Instruments; Newness, concept of; and News and Rumor. In The Blackwell Encyclopaedia of Greek Tragedy, ed. H Roisman. Oxford. 2015 (a) ‘Sense and sensation in music’. In P. Destrée and P. Murray, eds. Companion to Ancient Aesthetics . Malden MA. 2016 (a) ‘Between Scylla and Charybdis: text and conjecture in Greek lyric commentary’. In Classical Commentaries: explorations in a scholarly genre eds. C. S. Kraus and C. Stray. Oxford. 2016 (b) ‘Vocables and Microtones in Ancient Greek Music’. GRMS (2016) 273-285. 2017 ‘Euripides and the sound of music’. In The Blackwell Companion to Euripides, ed. L. McClure. Malden MA.